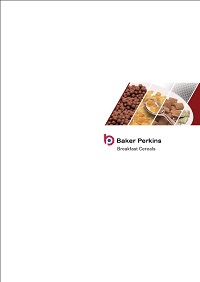 Baker Perkins offer complete, fully-automated systems for mixing, cooking and applying coatings to breakfast cereals. These coatings add value, variety and interest to the products. Options include a glossy coating (‘glazed’) or a ‘snowy’ coating (‘frosted’). For healthier products these coatings can be made without sugar. 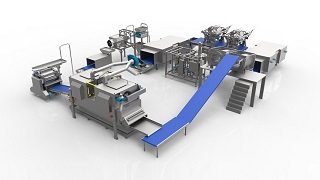 Each system is specified to meet the individual end-product need. They all enhance product flavour and appearance, efficiently and cost-effectively. 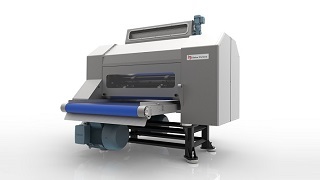 They enable a product range to be expanded for little additional cost. Emphasis on the health aspect of cereals is achieved via the ability to engineer systems to operate in both sugar and sugar-free modes, with simple interchange between the two. 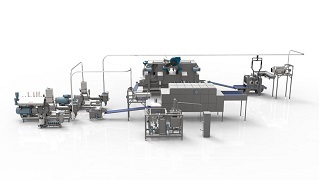 Technology installed in over 400 confectionery applications worldwide is used to give thorough dissolving and accurate control of final solids for high quality, consistent coating. 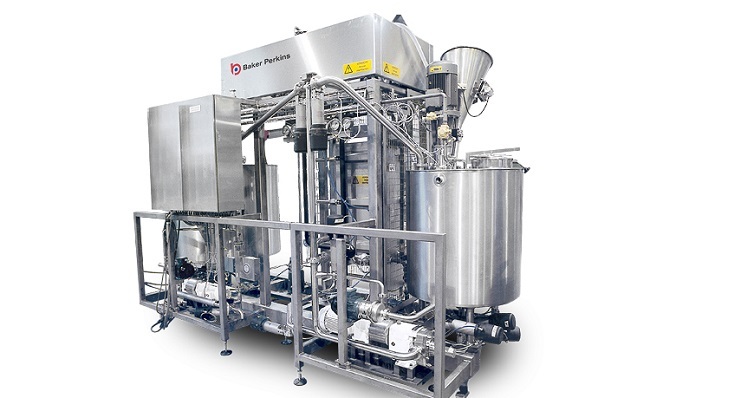 Advanced process control ensures that pre-set process parameters for sugar dissolving and evaporation are maintained. Accurate control of final solids ensures that coatings adhere properly and are not sticky and that they achieve the desired appearance. 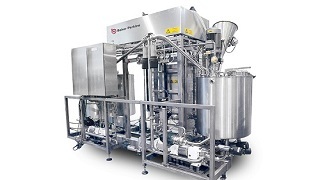 The three-stage process starts with accurate weighing and mixing of ingredients. 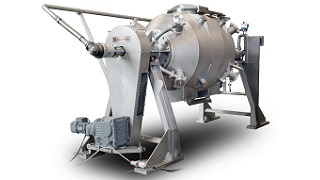 The resulting slurry passes to a self-contained skid-mounted system for cooking and moisture removal. 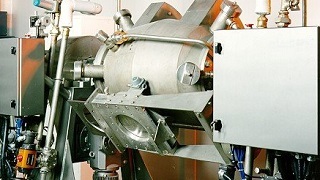 Application to the product is the final stage. 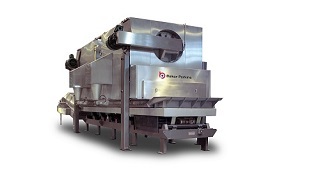 Products such as flakes, crisped rice and direct expanded cereals utilize a plant producing syrup with a solids level of 70-80%. 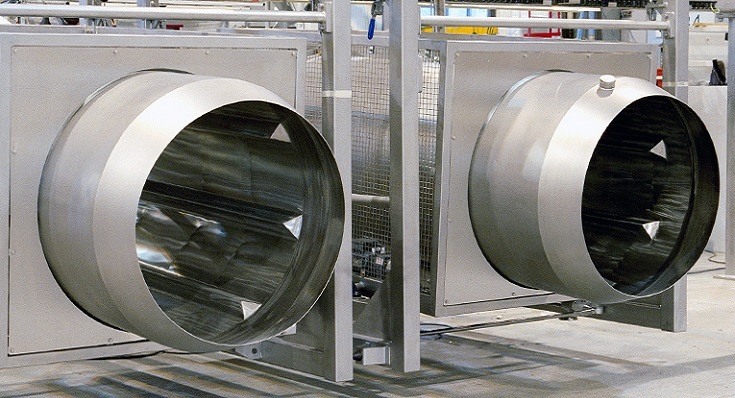 This is applied to the product by an atomized spraying systems and rotating drum before the product is dried. 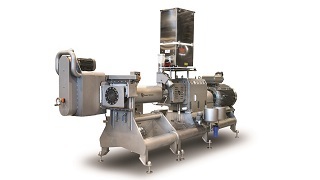 Products such as puffed wheat and rice, corn balls and loops are handled on a high solids coating line, with syrup at 97% solids content. 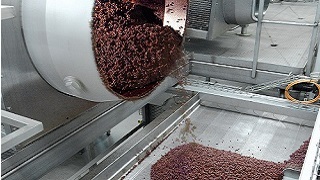 The syrup is applied to the products in a coating drum. 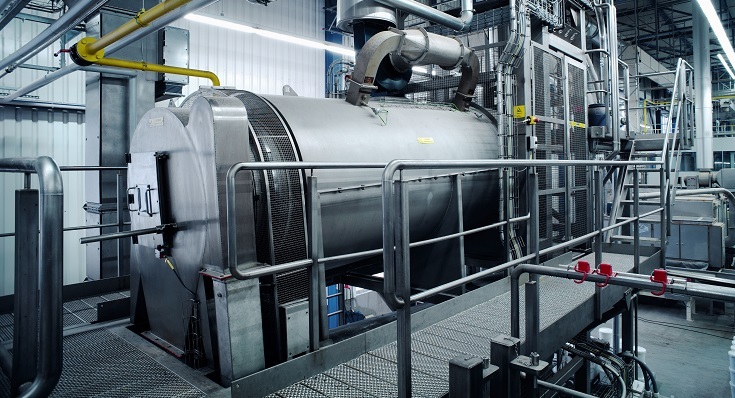 There is no need for a separate dryer, representing a considerable saving both in capital costs and in floor space.